N.K. military officials vow war readiness ahead of armistice anniv. SEOUL, July 26 (Yonhap) -- Servicemen from North Korea's military have vowed their firm readiness to fight with the United States ahead of the 64th anniversary of the armistice that ended the 1950-53 Korean War, Pyongyang's state media said Wednesday. Military officers from the army, navy, and air and anti-air force of the Korean People's Army (KPA) held an oath-taking meeting Tuesday, two days before the anniversary of what the North claims is its victory in the war, according to the Korean Central News Agency (KCNA). KPA Vice Marshal Hwang Pyong-so called for "waging more dynamic struggle to add shine to the history of great victory in the war generation after generation and bring July 27 of final victory as early as possible," the KCNA reported in English. The armistice left South and North Korea technically in a state of war. The North has designated the date as Victory Day to celebrate what it claims is its victory against the U.S. during the war. The meeting came amid speculation that North Korea may be preparing to carry out another missile test launch around Thursday to mark the anniversary. Transporter vehicles carrying equipment for the firing of a ballistic missile were seen arriving in Kusong of the country's northwestern province, CNN reported Wednesday, citing an unnamed U.S. defense official. North Korea may respond to South Korea's latest offer for inter-Korean talks with a possible missile launch following its test-firing of an intercontinental ballistic missile on July 4. South Korea earlier proposed holding military talks last Friday to end hostile acts along the tense inter-Korean border on the occasion of the anniversary. 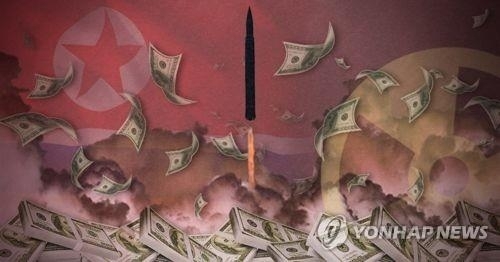 But the North has not shown any response to Seoul's proposal.